This course will afford those who seek internationally recognized and accredited hse certification, the opportunity to achieve their career goals in occupational health and safety. The curricullum is rich and extensive and the delivery is quite challenging. 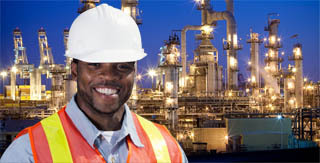 Moreso, it covers the relevant areas in general and advanced hse (levels 1,2,3) and compares favourably to other international hse certifications like nebosh, iosh, city and guild. Occupational health and safety and environment is at the heart of business activities in various sectors of the economy. Employers are also mandated, by law, to provide a safe work environment for their employees, as far as is resonably practicable. Therefore, it does not matter your discipline, the wso hse training and certification will ensure you stay safe both on and off the job. In addition, the certification might be the missing link to your next job opportunity. 4 Days (or 2 weekends) and a day for the certification examination. • would be required to demonstrate that they have near perfect understanding of HSE and can fit into any organizational structure as frontline (beginning) HSE Officers. There are no specific barriers, in terms of academic qualifications, skills or experience to entry to the WSO Professional HSE programme. The programme is open to everyone, irrespective of academic discipline or background. Candidates who successfully complete the programme will receive internationally recognized hse 1,2 and 3 certificates, directly from the World Safety Organization, with a global seal of recognition. ARE THE CERTIFICATES ACCREDITED & RECOGNIZED? WHERE CAN I LOCATE THE NEAREST HSE TRAIN INT'l CENTER IN NIGERIA? HOW CAN I JOIN THE NEXT BATCH? We allow installmental payments. However, payments must be completed on or before the beginning of training.